The ultimate curing system. No surface tack with surprise single exposure! 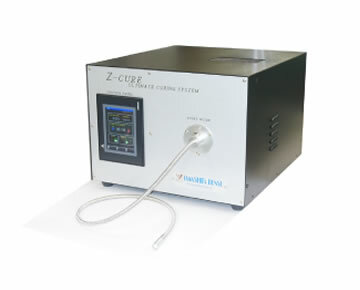 Ultraviolet irradiation UV curing and infrared irradiation curing are possible with one unit (Patent Registered No. 6108257) Easy recipe creation for irradiation wavelength, light quantity and irradiation time control with touch panel All-round player ideal for research and development · mass production line. * We will manufacture irradiation wavelength area, irradiation area, fiber length etc according to your request.